In this extensive analysis of the Australian education system, Ross H. Millikan, a former lecturer and sub-dean in education at the University of Melbourne, proposes sweeping changes for school districts. 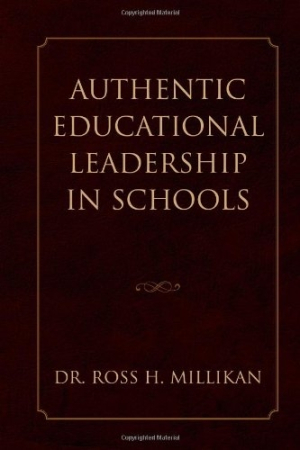 Millikan calls on educators to adopt an approach of continually striving to improve the education system, focusing on leadership as the key to optimizing learning. To maximize the learning experience for all—students, teachers, administrators, and parents—he advocates for increased government funding, smaller student-teacher ratios, additional teacher training, and a more individualized approach to education based on particular needs in each school. While Millikan acknowledges that these guidelines require radical reform, he views them as necessary to create an environment that will empower educators to make decisions that best meet the needs of each school. In addition to these internal changes, he encourages collaboration among districts and with their communities through the formation of coalitions with neighboring schools and community leaders. The book is geared toward educational leaders, and it will have the most appeal for administrators who are seeking resources and references to assist in evaluating, improving, and transforming procedures. Much of the information is presented in bulleted lists and a series of broad-stroke questions rather than specific suggestions, serving primarily as starting points for administrators to evaluate their own district conditions, create weekly schedules, and establish codes of conduct and ethical principles. Professors who are training the next generation of teachers may find value in Millikan’s lists of optimal pedagogies. Because Millikan’s examples are specific to the Australian school system, they will have limited appeal to audiences outside of that country. In addition, the comprehensive changes that he proposes, such as lengthening school days, introducing new technologies, and incorporating collaborative and team teaching, will require extensive resources in time, personnel, and funding—resources that are already strained in the many countries dealing with struggling economies. Other advised changes—such as making the educational process interactive and measuring personal traits such as responsibility, trustworthiness, and integrity—are vague. As a result, the recommendations will be of questionable value for most school districts. The few lists that may be useful to school systems in Australia and elsewhere require readers to wade through a cumbersome six-hundred pages, with the key points repeated several times. Millikan’s suggestions are idealistic and optimistic, and for many school districts, they are also unrealistic.